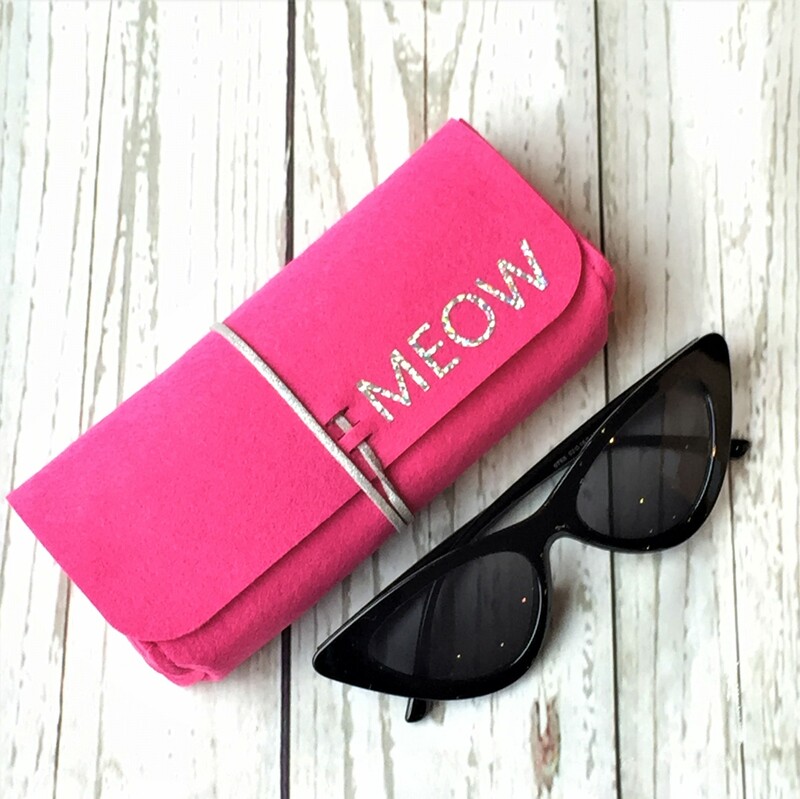 This handmade felt sunglass case was in the July Create Summer Memories box. They are in the trendiest hot pink colour with glitter MEOW detail and faux suede strap. Made exclusively for this box. Pair it with the vintage style sunglass for only £9.00 more!